Low profile lenses - 50mm, 70mm, 90mm diameter - made of optical grade PMMA Clear, with a very thin lateral profile. 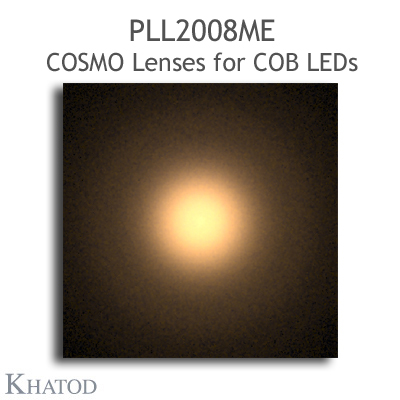 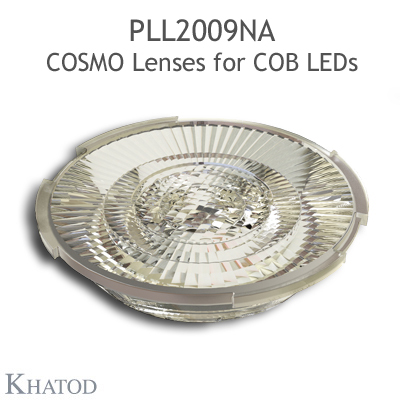 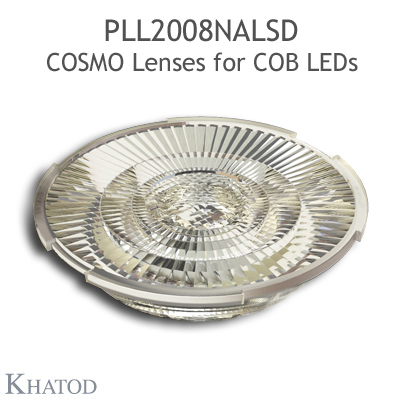 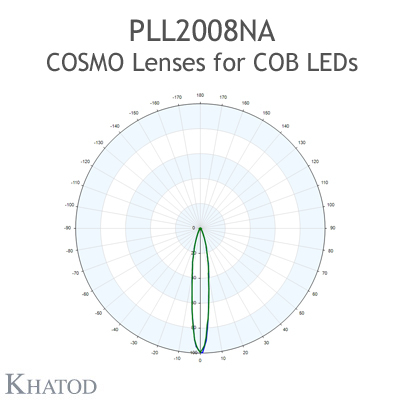 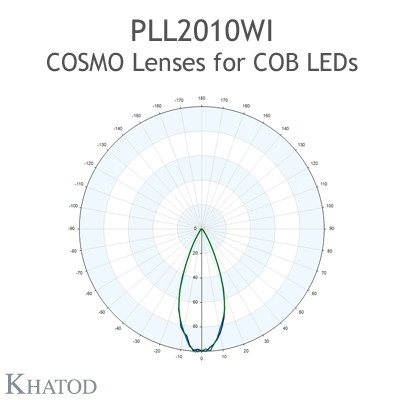 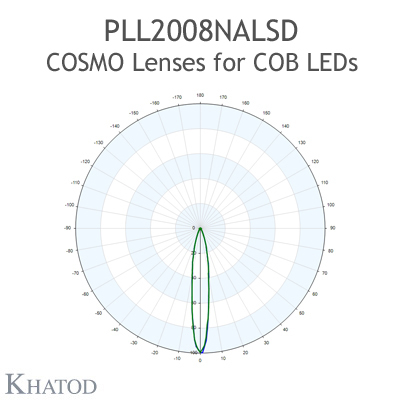 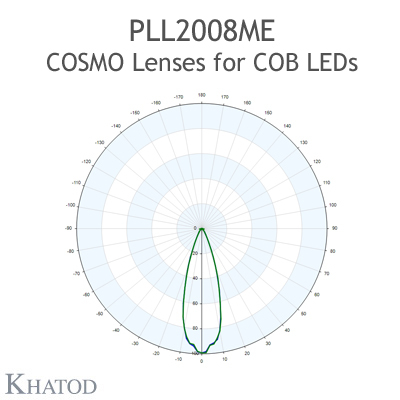 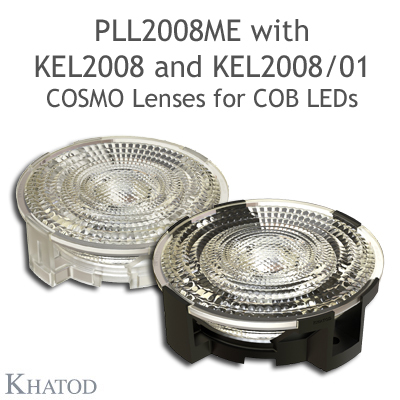 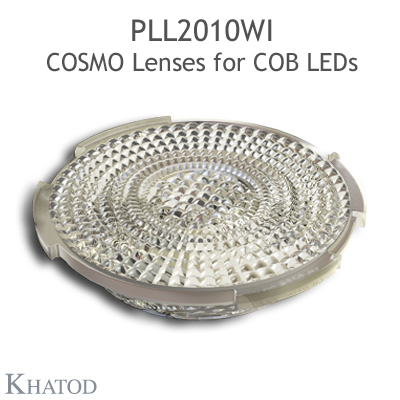 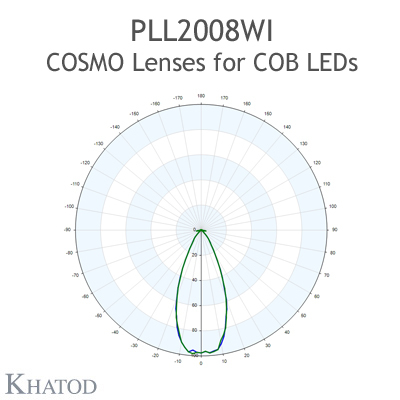 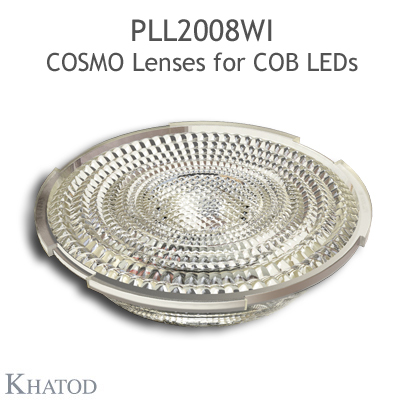 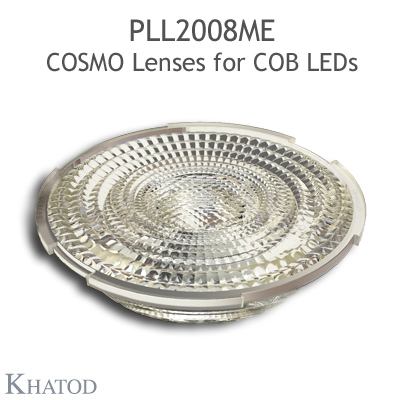 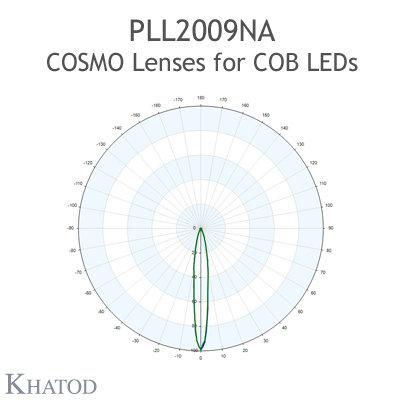 Conceived for COB LEDs with LES ranging 6-22mm diameter. Available with holder (clear transparent and black) made of clear PC. 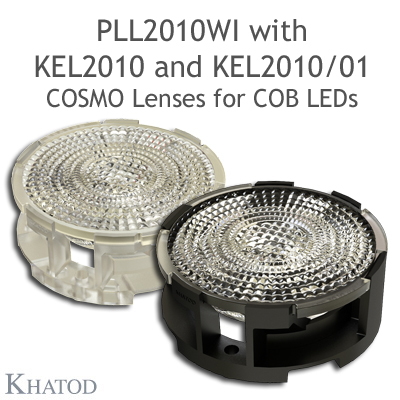 Also allow standalone mounting by using the mechanical parts of the lighting fixture. Meet MR16, PAR30, AR111 requirements. 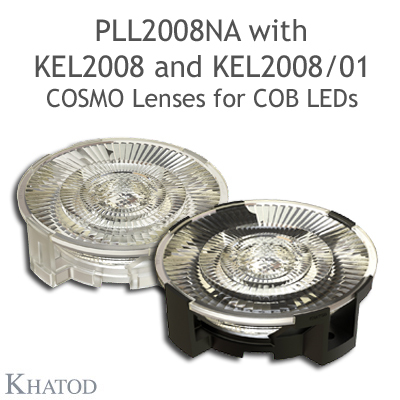 PLL2010NA Lens is supplied without the holder. PLL2010NALSD Lens is supplied without the holder. PLL2010ME Lens is supplied without the holder. PLL2010WI Lens is supplied without the holder. The connectors can be purchased directly from Bender-Wirth. PLL2009NA Lens is supplied without the holder. PLL2009NALSD Lens is supplied without the holder. PLL2009ME Lens is supplied without the holder. PLL2009WI Lens is supplied without the holder. 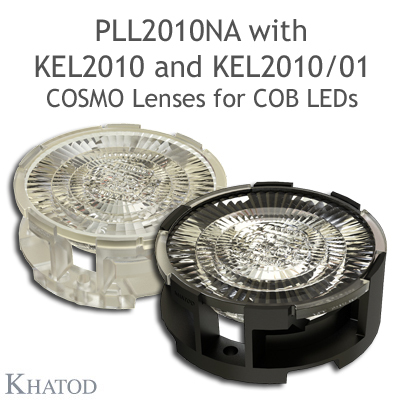 The connectors can be purchased directly from Bender-Wirth, BJB, IDEAL, MOLEX, TE. PLL2008NA Lens is supplied without the holder. PLL2008NALSD Lens is supplied without the holder. PLL2008ME Lens is supplied without the holder. 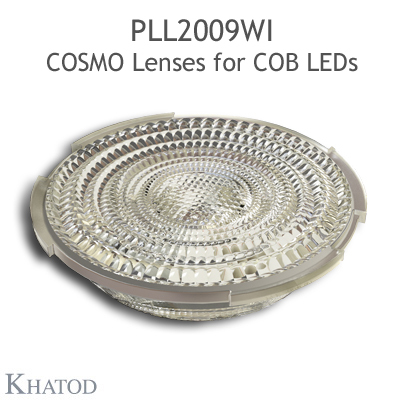 PLL2008WI Lens is supplied without the holder. 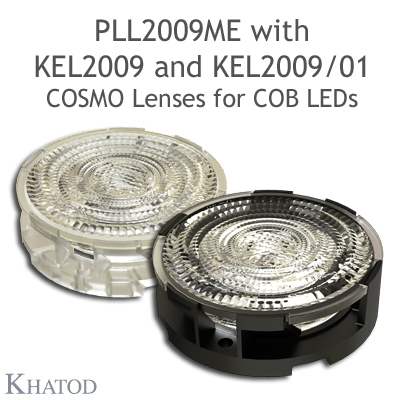 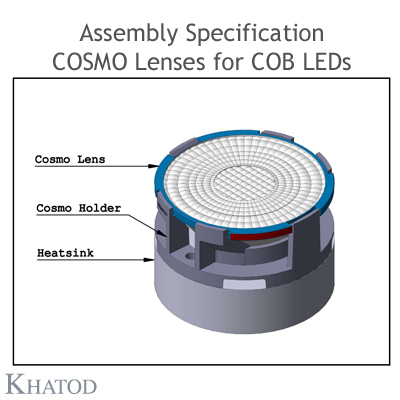 COSMO Lenses are supplied without holder. The holder is optional and will be supplied only on request, under KEL20xx (Clear Transparent) part number or under KEL20xx/01 (Black) part number.